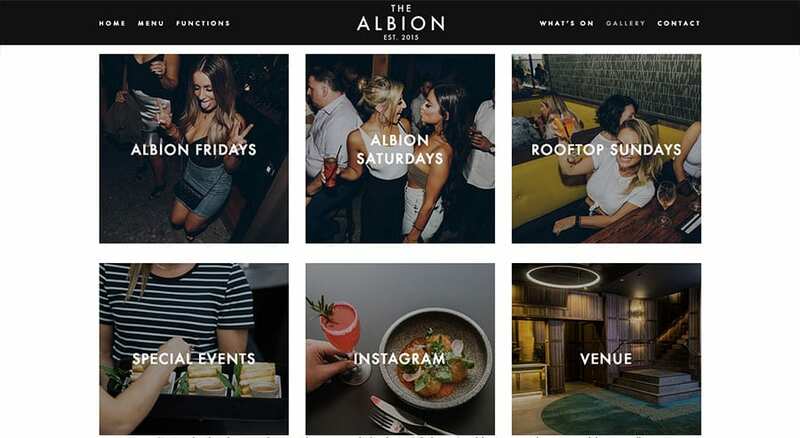 Project - The Albion Rooftop - rooftop digital. 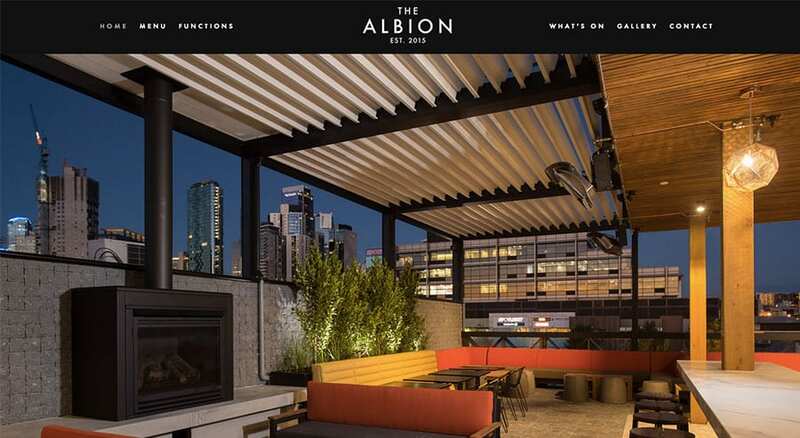 The Albion Rooftop is a premium lifestyle destination dedicated to dining, drinking, nightlife, functions and events. 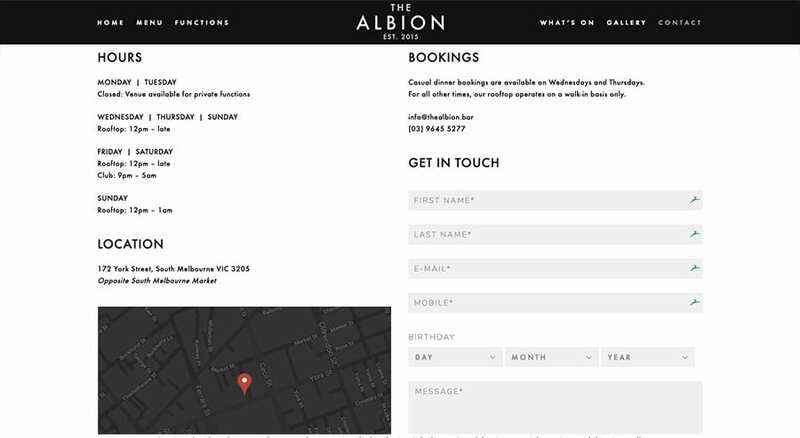 Located opposite South Melbourne Market and a stone’s throw away from Docklands, Southbank and Melbourne’s city centre, the venue sprawls three floors with complete function level, decadent club and an incredible rooftop offering unprecedented views of the Melbourne CBD skyline, including weather provisions to outsmart Melbourne’s temperamental skies cementing this as a go-to hot spot all year round. 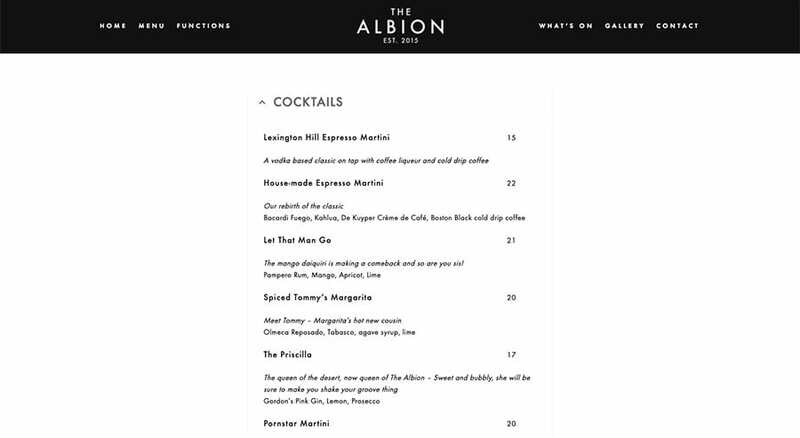 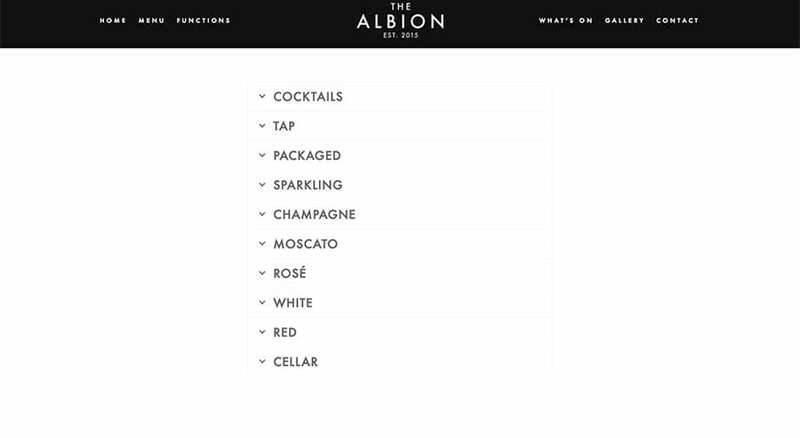 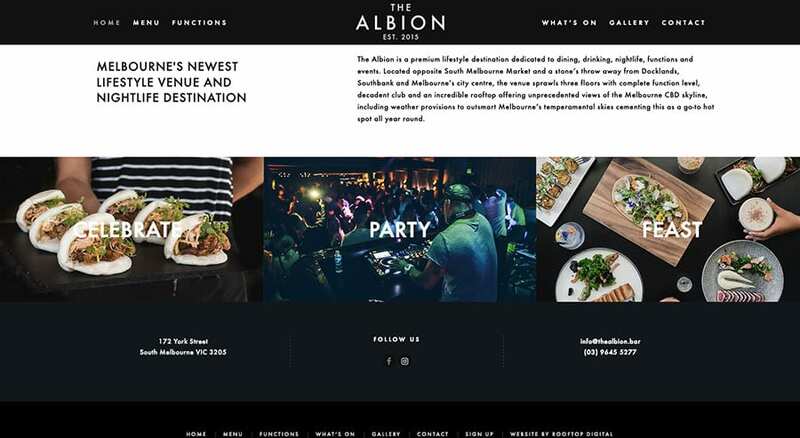 With the Albion Rooftop planning to launch their brand new venue, they engaged us to launch their brand new website. 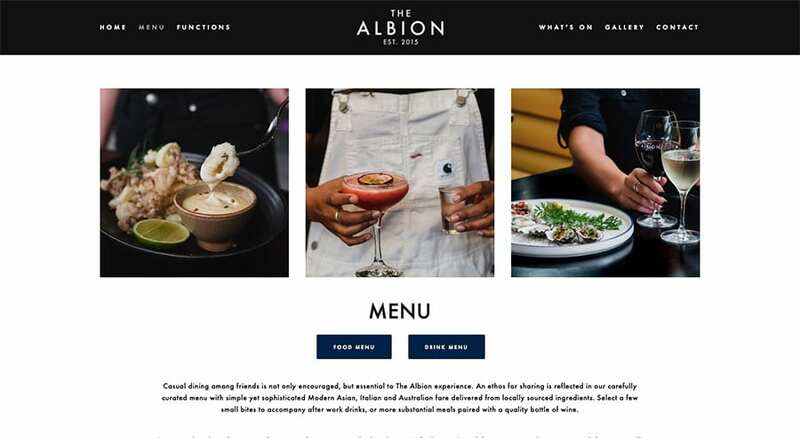 We designed and built a clean and modern website that matched the style of their brand and venue. 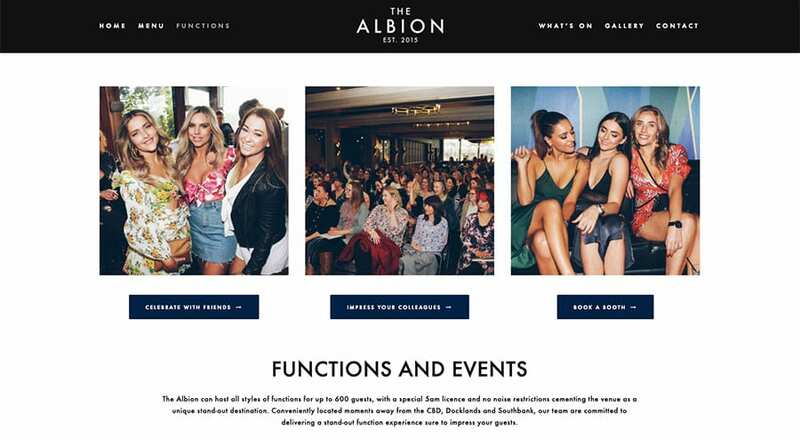 As the venue had yet to be officially launched, SEO and online awareness was an important consideration. 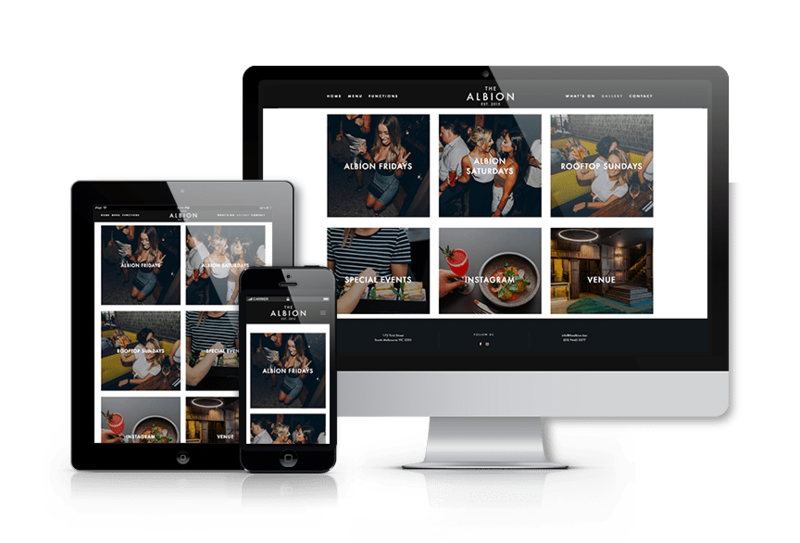 Throughout the entire build phase, we ensured the website was designed for maximum visibility and traffic.